Whether you are a resident, a visitor, or a business looking for a new home, we trust you can find everything you need right here in our charming community. Boonville is a great place to be. A river city full of charm and beauty, it is home to beautiful parks, well preserved historic landmarks, affordable living, and a lively cultural and arts scene. The entire region is rich in history, energized by growth, and ripe with opportunity. The City Council meet at 7:00 P.M. for the City Council Meeting on the First and Third Mondays of each month at the Council Chambers at 525 East Spring Street. Public is invited to attend. Here is a link to the City Council Packets. 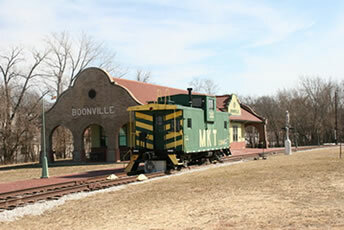 All City Council Meetings are broadcast on the City of Boonville You Tube Channel. There will be a household hazardous waste collection in Columbia, MO on June 1, 2018.